Heidi Ott lady doll red sweater.Miniature dollhouse clothes 1:12 scale. 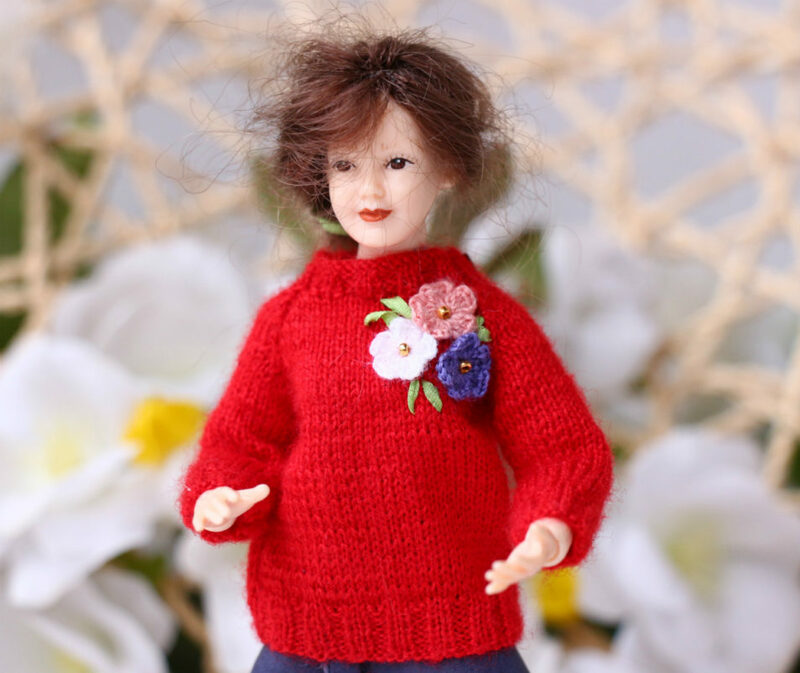 Miniature Lady by Heidi ott too) Red sweater for winter? Why not! If she has something does not work, she does not give up and will cope with any difficult task. That’s why the main photo of this post a Lady pupil) or a Lady teacher? When my customers order new Heidi Ott doll clothes, I’m a bit worried. Why do you ask me? 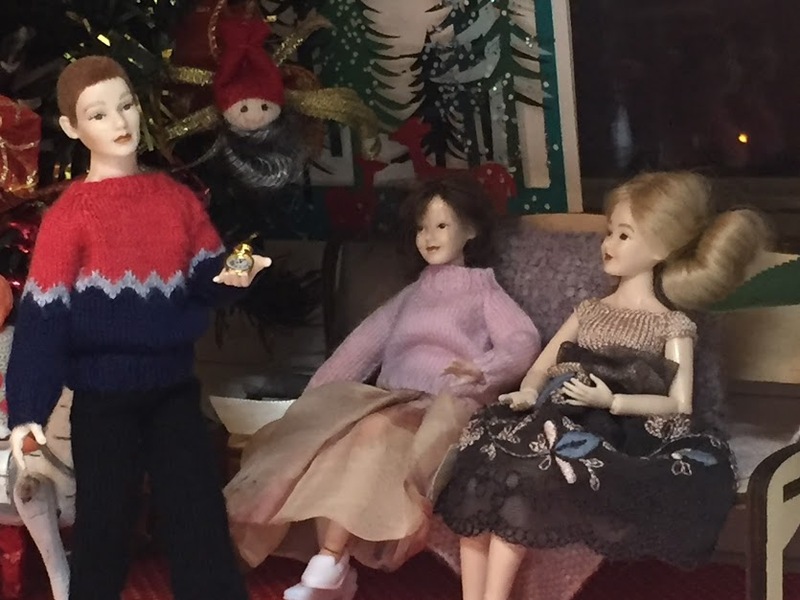 Because I thinking – Can they put sweaters or dresses on the doll?! And although I, of course, check everything before sending, I decided to make is a small video. I hope it will be useful to you. 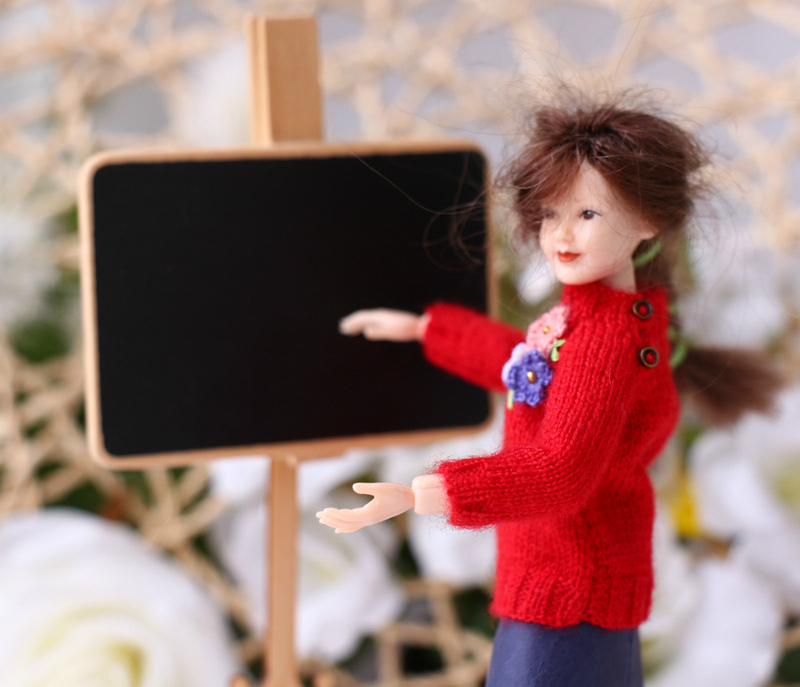 If you like this miniature hand knitted Red sweater for Heidi Ott lady doll, you can see and buy it in my Etsy shop. Please tell me about your lovely doll.